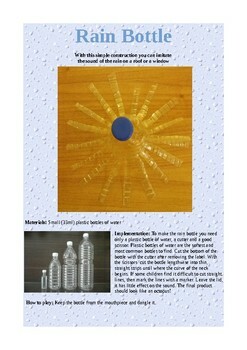 This a sound object made by a plastic water bottle. 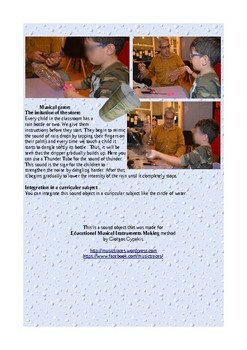 With this, you can imitate the sound of rain as it falls on a roof or on a window. There is also a musical game for the classroom that you can use it in a music lesson or to integrate it in a curricular subject.